BAT - BLOG : BATMAN TOYS and COLLECTIBLES: #BATMAN MADNESS Spotted All Over The World!! #BATMAN MADNESS Spotted All Over The World!! Here's a fun post I like to do every now and then that represents the love of the BATMAN character as seen all over the world. Here at the BAT-BLOG we sometimes get some fan mail from people in other countries (Yes, I totally love that!). Here are some wonderful examples. First up is this really great photo from a sweet girl named Stephane. 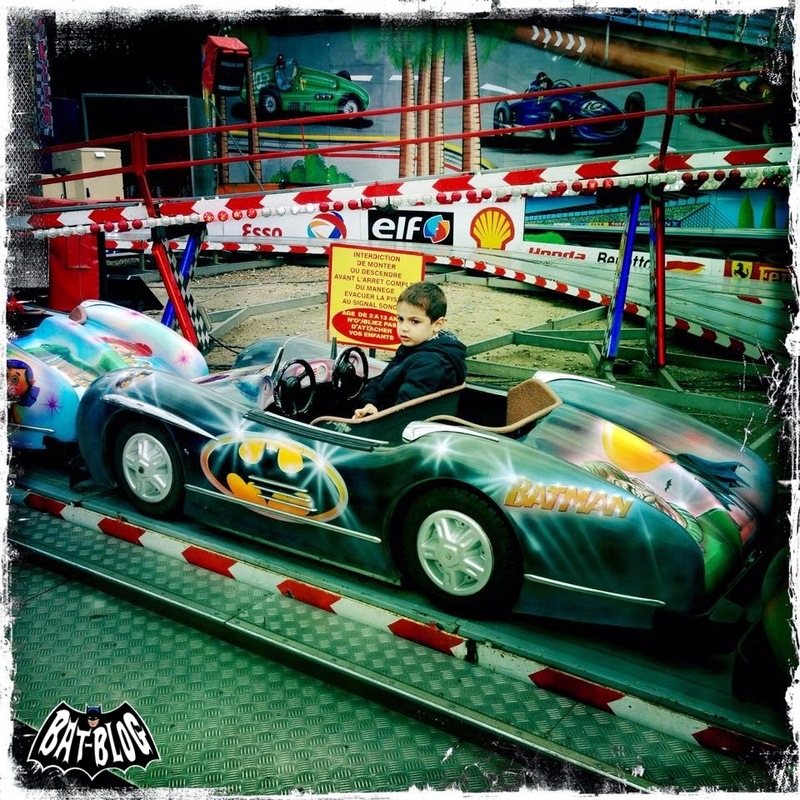 She recently attended a fair event in Rouen, France and came across this BATMOBILE Ride! Oh man, how cool is that?! Next up is a group shot from some cosplay friends in the Netherlands. 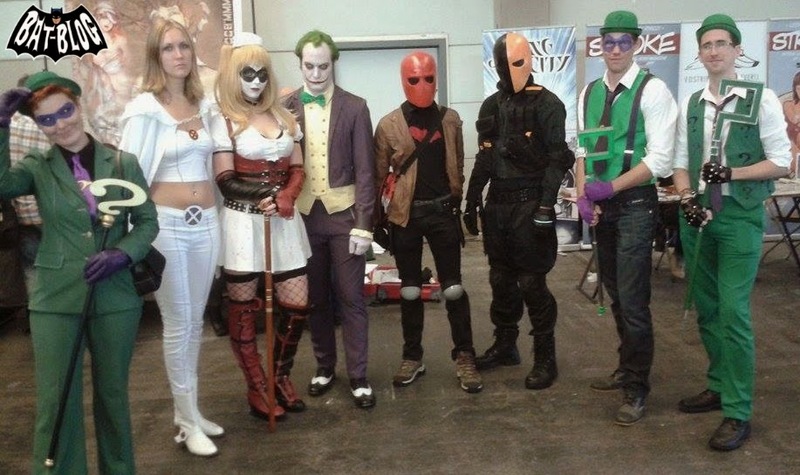 This was at a Comic Con event and they all dressed-up as Batman-related Villains! We got Harley Quinn, The Joker, Red Hood, Deathstroke, and a nice variety of Riddler Cosplayers. Yes, I guess the Riddler is extremely popular there but they all look great! Hey, what's that X-Men Girl doing in the shot? Ha Ha, oh well, she is pretty cute though so I'll let it slide. 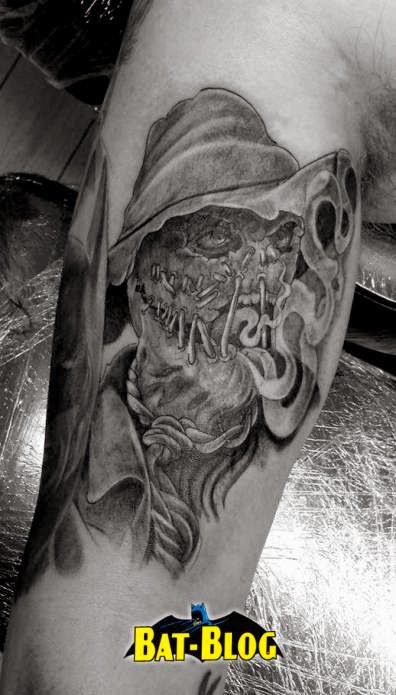 Now, last but not least, is a series of pics showing some amazing BATMAN TATTOO ART that was done in the UK. Yes, England! 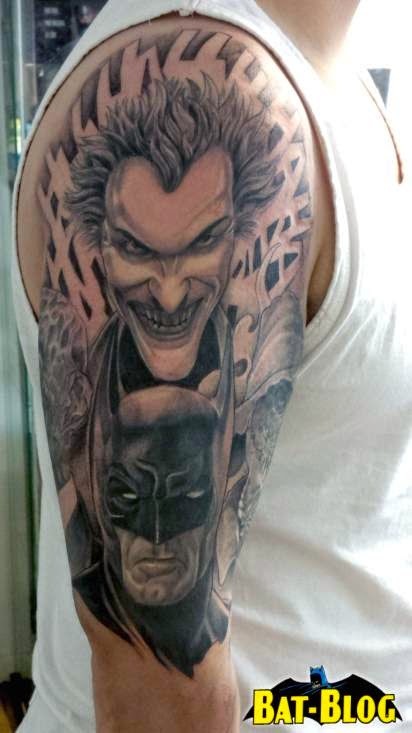 Here, you can see many different angles of this "sleeve" and we get Batman, The Joker, Scarecrow and Two-Face. They're all extremely well done and the attention to detail is awesome. Now, I usually like to list the Tattoo Artist and the name of the person who got the bat-tat done, but like an idiot, I have totally lost all that information. So, I apologize to them right now but I gotta add that these tattoos look super-great!